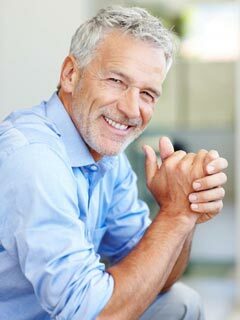 Older, amalgam fillings may be aging your appearance, causing concern over your smile. 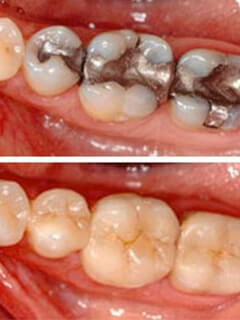 The larger the silver amalgam fillings, the weaker the tooth becomes, possibly leading to cracks or fractures. We prefer tooth-colored composite fillings because they are more attractive and are a better alternative than metal fillings. 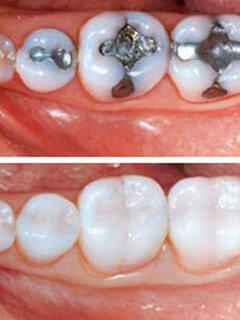 These non-metal fillings conservatively restore your smile with great aesthetics and function for your teeth. Preventative care is an integral part of our dental practice. 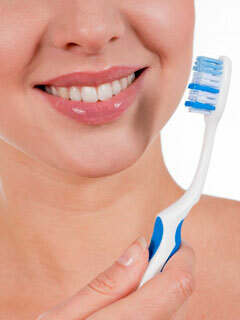 Maintaining good dental hygiene is one of the most important things you can do for your teeth and gums. Healthy teeth not only enable you to look and feel good, but they also make it possible to eat and speak properly. Thorough examinations and professional cleanings allow us to identify problem areas and stop periodontal disease, which recent studies have linked to other diseases, such as diabetes and heart disease. Bonding can be used for a variety of enhancements, including whitening stain-resistant teeth (including tetracycline stains), repairing chips, and closing gaps between teeth. The procedure is simple: A composite material is placed on the tooth, then shaped to form natural looking ridges and valleys. Once the desired shape is achieved, the material is hardened and polished, creating a natural appearance. Bonding is an easy and painless process and usually takes just one appointment, so you can start showing off your beautiful smile the moment you walk out of our office! A tooth with minor damage or decay can be repaired with a perfectly matching inlay or onlay that matches the contours of your teeth. 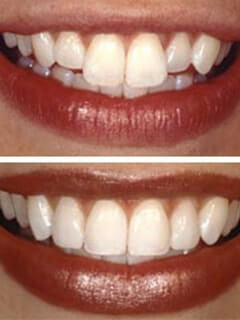 They are color matched to blend with your natural teeth and then durably bonded into place for a lifetime of use. The health benefits of a non-metal filling alternative and the beauty of these restorations make them the optimum choice for repairing damaged teeth. An unhealthy or missing tooth can cause a variety of problems. A bridge is a dental solution that not only restores your smile to its natural appearance, but it brings back comfort and function. A bridge is a custom-fit false tooth (or teeth) that is permanently placed between two healthy teeth and is held in place by porcelain crowns. Periodontal treatment starts with prevention. The main cause of periodontal disease is bacteria in the form of a sticky, colorless plaque that constantly forms on teeth; however, other factors can cause the disease or influence its progression. Scaling and root planing and local delivery of antimicrobials are progressive periodontal treatments that treat and prevent the progression of the disease. In some cases, surgical therapy or cosmetic solutions may be necessary to correct the damage from gum disease physically and cosmetically. You deserve to look and feel your best. No matter what your teeth are like, dentistry by Dr. Davenport can help restore your full oral health through full mouth rehabilitation. 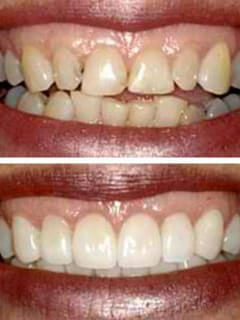 The result will be a beautiful smile that is as comfortable and functional as it is attractive. It may be the answer to many problems, such as broken down restorations, severely worn teeth, sore jaw muscles, and recurring headaches. If you are concerned about the process, our Tucson dental office offers compassionate and gentle treatment. If you need it, we also offer relaxing sedation dentistry to make your full mouth rehabilitation the most relaxing dentistry you have ever received. At Davenport and Davenport Dental Practice, we encourage prevention and restorative dentistry wherever possible. However, if you have lost all of your natural teeth, dentures can help you enjoy smiling and eating again. Tooth loss can come from periodontal disease, tooth decay, or injury. Patients in Tucson enjoy dentures that are carefully crafted to fit and function in the absolute best way they can. Dentures can help improve your appearance and health so that you can enjoy a happy, active lifestyle. Dr. Davenport can help you make an informed decision about whether dentures are ideal for you. Going to the dentist can be comfortable, regardless of dental anxiety or apprehension. Imagine the relief you will feel knowing your dental care and ideal health are easily within reach. 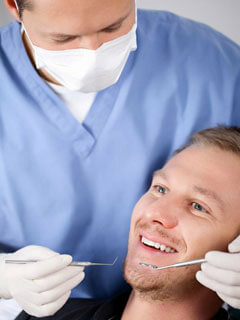 Sedation dentistry induces a sense of calm and comfort, so you are less sensitive and aware of the dental treatment. You may even have multiple dental procedures done in one sitting. Find out how sedation options like nitrous oxide and conscious sedation can help patients like you! At our dental office in Tucson, family dentistry doesn’t just mean children. 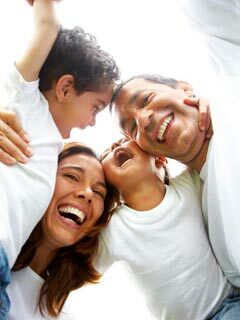 Our practice can serve all of your family. From baby teeth to dentures, we can do it all under one roof! Our comprehensive dental services are offered by Drs. Davenport and Linaker, who both include the latest dental training and techniques in every dental procedure they perform. For any dental concern, you and your family are welcome at our practice! We take the time to tailor our efforts for each age group that walks through our doors. In Tucson, AZ, family dentistry is where we shine by helping each member of your family enjoy a lifetime of dental health. 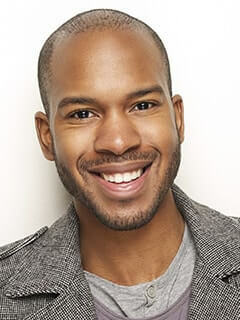 A healthy smile will contribute to the overall health of your entire body. Visit us today to learn more. Your new dental family is waiting.